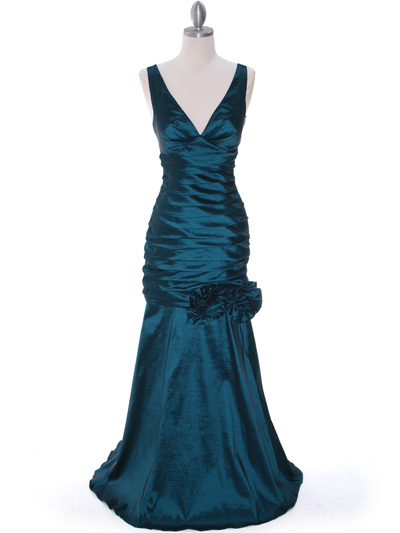 Teal Stretch Taffeta Evening Dress | Sung Boutique L.A. 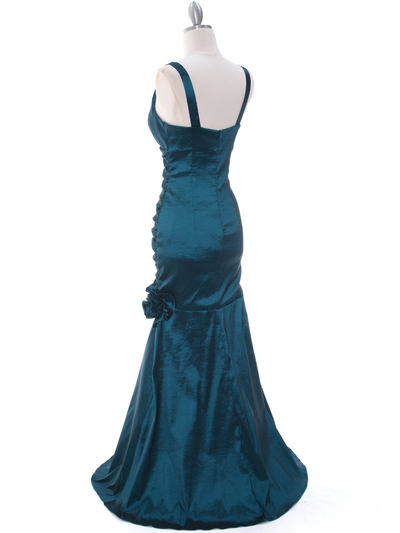 This beautiful taffeta evening dress has a fabulous stretch to it and features deep v-neckline. Pleated fitted bodice and mermaid hem with rosettes adorning the skirt finishes this fantastic look. 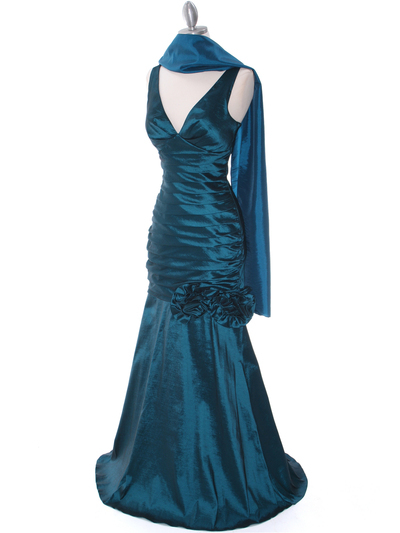 - 55% polyester, 40% nylon and 5% spandex.